Bullet journals have gained in popularity over the last few years. They have mainly been used in the mental health field. These journals are becoming useful for those interested in personal development. They are a combination of a diary and a daily planner. This tool can help adopt new habits, keep track of tasks, and create healthier changes. Bullet journaling is easy to set up. All that is really needed is a pen and a notebook. Some people have set up their journals to be as simple as possible. On the other hand, others have added elaborate pages to a notebook to create a more personalized look. There is no limit to what designs can go into the journal. There are even various online communities dedicated to setting up layouts and pages. Designing a bullet journal is based on personal choice. The main focus is to keep track of fulfilling personal goals. Which Bullet Journal Spreads are Helpful for Personal Development? One of the most popular features of the bullet journal is the ability to keep a daily log. This log can keep track of tasks and become a to-do list. It can even help people to incorporate healthy habits into a routine. For example, some journal users schedule a time to meditate or go for a walk during their busy day. Mood tracking is an excellent way to manage mental health. Bullet journals can highlight certain feelings and help the user evaluate their current mindset. Keeping track of moods throughout the day is essential for personal development. Charts can even be utilized to track certain events or triggers that can cause mood swings. By setting up a chart, a bullet journal can be an important tool for better mental health. Bullet journals are the most effective when they are used for keeping track of thoughts. The purpose of a bullet journal is to go beyond a to-do list. It can be a catch-all for random thoughts, gratitude lists, doodles, and a space to celebrate accomplishments. Bullet journals are becoming another tool to help organize a busy lifestyle. 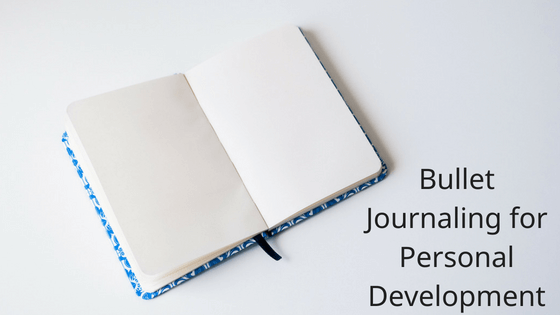 These journals can become part of a journey to reach goals for personal development. Journal users are helping to create habits to make it a bit easier to navigate through life.